Oxfam is a worldwide organisation that employs works in more than 90 countries. We seek to overcome poverty and suffering. Oxfam’s global strategic goals include contributing to achieving more profound and lasting change in the lives of people living with poverty and injustice. We’re creating a worldwide influencing network to unite the power of local organizations, who share a common vision for change. Adequately resourced, local organizations are bestpositioned to influence and actively participate in the fight against the injustice of poverty. Job Summary: The Programme Partnership Cordinator will bw part of the Program Team (PT); which will be accountable for ensuring that programmes are designed and delivered according to the Oxfam Minimum Standards for Programming and that the correct programme information is collected timeously, reviewed regularly and used to inform decision making related to programme implementation and partnerships. The team will manage all partner relationships and be responsible for the timely, high quality programme delivery. 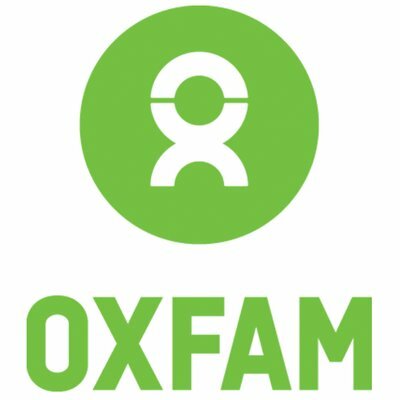 Primarily responsible for programme strategy and proposal development, the team will also act as a primary interface between Oxfam and its partners and beneficiaries, as well as with donors and other programme stakeholders. The Programme Partnership Coordinator will hold the direct relationship with partners, lead on partner contracting, monitor programme delivery (budgets and outcomes), convene and facilitate networks and provide a primary interface between the organisation and its partners. These ‘frontline’ staff will report to the Programme Manager, be expected to travel regularly, and collect and process primary data upon which programme management decisions and reporting will be based. Ensure that Oxfam’s programme is cost effective, efficient and complies with organisational standards of management and accountability. Ensure that cross-cutting themes of gender are central to all projects and that the programme provides support to poor and vulnerable women. In consultation with the Programme Manager and identify opportunities for programmes that have high impact and respective partnership modality. Ensure that women’s rights are embedded in partners project designs and are maintained as central to their programme approach. Contribute to the development of donor proposals and other necessary activities to secure funding for programme objectives. In collaboration with the Programme Quality team ensure that programme activities are of a high quality and are delivered within agreed timelines. Support consultants and researchers as required, in accordance with Oxfam policy and procedures. In collaboration with programme quality team, ensure that Programme reviews are undertaken and all reporting requirements are met in a timely manner. Coordinate and mobilise technical support for the program partners, accompanying them and ensuring high quality of programming. Assist with close follow up of partners and support with the preparations of reports (narrative and financial) to ensure that projects are completed and closed. Supervise and assess work in progress to ensure compliance and delivery of high quality results and achievements of overall Programme objectives. This will include financial monitoring, support partners in problem solving, and identifying and utilization of lessons learned and best practices to ensure consistently improved Programming. Work with Programme Quality Team and Business Services Team in supporting partners to develop quality project documents including proposal, budget, risk mitigation plan, MEAL frameworks and implementation/work-plans during contracting. Monitor and share programme updates with the Programme Manager, and when necessary to respond challenges and risks emerging from programme delivery. Support partners in interpretation of contractual terms in terms of the results or outcomes expected and the resources allocated. Support partners in understanding programme guidelines and timelines set in implementation of activities and utilization of resources through approved work-plans and budgets. Ensure partners are compliant with Oxfam policies and contracts requirements in implementing their programmatic activities. Identify and coordinate with other stakeholders at local level and use the space in these coordination meetings/ sector specific working group to advocate for issues that have implications for the Oxfam Uganda strategic areas of intervention. Support HIV&AIDS and Gender mainstreaming by ensuring that partners’ approaches to programming demonstrate integration of cross-cutting issues. Proven ability to have constructive, progressive and mutually respectful relations and networks with other staff, partners and like-minded organisations and institutions. Experience in facilitation and presentation to various audience. Commitment to women’s rights and gender equality in line with Oxfam’s mission, vision, goals and strategies. Commitment to promoting women leadership by understanding and addressing challenges that constrain women from becoming leaders at project and programme levels. Competent in the use of computers and Microsoft Office applications including Word, Excel, Power Point and Outlook. High level of acquaintance and comfort with internet-based research and electronic communications, new social networks. Excellent personal communication skills, in written and verbal English and Swahili, with high impact influencing and persuasive skills. Able to use different approaches to achieve followership. Strong interpersonal skills, sensitivity to cultural differences and ability to work in a wide variety of cultural contexts. Good team player. Some experience in working with media, including use of digital media. All suitably qualified and interested candidates are encouraged to send their updated CVs and cover letters ONLY to oxfamuganda-jobs@oxfam.org indicating the position name in the email subject line. Only short-listed candidates will be contacted.